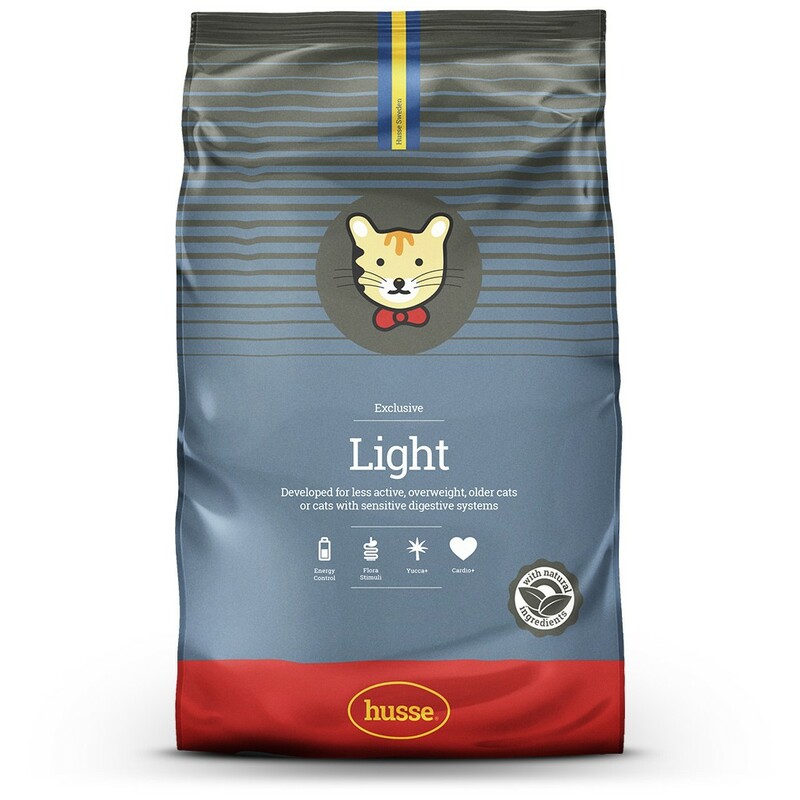 Exclusive Light / Sensitive Digestion is a complete super-premium food for less active, overweight and ageing cats. Chickenbased, it provides an optimal balance of protein and fat, ensuring your pet stays healthy and in shape. Ideal for cats with sensitive digestion. Contains the right balance of calcium and phosphorous to strengthen bones and teeth. Helps reduce plaque and tartars build up. Rich in fatty acids Omega 3 and 6 to improve the condition of the skin and coat. Enriched with copper to stimulate enzymes which maintain the • colour of the coat. High protein level and corn for controlled carbohydrate absorption and lean body condition. High quality, easily digestible ingredients such as chicken hydrolysed chicken protein to give a great taste. Contains natural fiber to help prevent hair balls forming in the intestinal canal. With beet fibre to help the passage of food, and promote firm stools. Chicken, corn, rice, corn gluten, animal fat, beet pulp, dried whole eggs, brewer’s yeast, hydrolised chicken protein, dehydrated fish, fish oil, minerals, fructo- oligosaccharides (min. 1%), lecithin (0.25%), yucca extract. Protein 29.0%, fat content 11.0%, crude ash 6.5%, crude fibre 3.5%, calcium 1.0%, phosphorus 0.9%. Vitamin A: 30000 IU/kg, vitamin D3 1500 IU/kg, vitamin E 160 mg/kg, E1(Iron) 70 mg/kg, E2 (Iodine) 2.5 mg/kg, E4 (Copper) 12 mg/kg, E5 (Manganese) 105 mg/kg, E6 (Zinc) 115 mg/kg, E8 (Selenium) 0.25 mg/kg, taurine 2000 mg/kg ; Antioxidants.